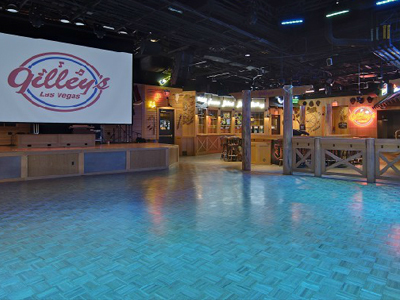 Gilley’s is the rowdy saloon of the old west, revisited. 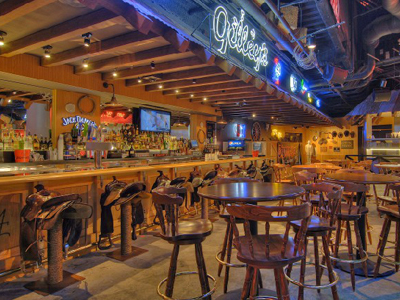 There’s no dress code, so you’ll feel right at home wearing blue jeans and cowboy boots when you hop in the saddles that are bar stools. In fact, Western wear is encouraged! 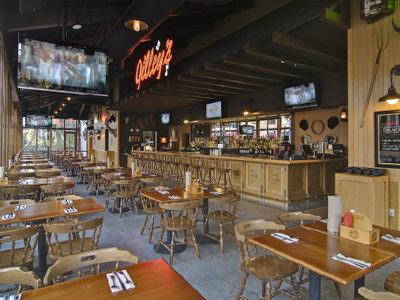 Down-home meals and non-stop entertainment are served up by the famous Gilley Girls. In addition to their many genuine barbeque dishes, Gilley’s has also put a country twist on several favorite standbys. 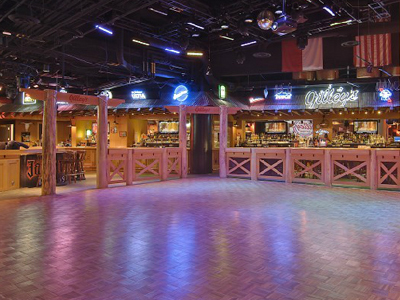 Wear your boots and get ready for some line dancing, bull riding and delicious BBQ ribs, chicken and more! 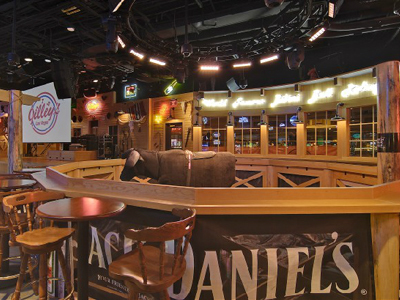 Additional Information: The saloon features at least one drink special every night, and competitions or live entertainment most nights. Disappointed that we couldn’t get a seat in the restaurant, we strolled over to the bar area, and I’m so glad we did!! We ordered the nachos and enjoyed the line dancing and bull riding while we waited. good food, huge servings! drinks kind of steep, but a very fun bar! Came to Gilley’s with a large group of people. They wouldn’t split up the check between 4 couples. Piss poor if you ask me. We had a great meal and experience! 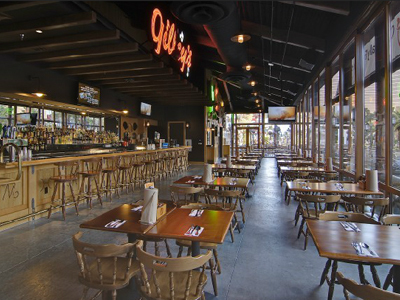 The meal was great the drinks were fantastic and the authentic western feel added to the atmosphere! It wasn’t Texas BBQ but it was darn good. Big portions… More than I could eat. It had a fun vibe to it as we’ll. prices are standard to Vegas. Took my wife for her Birthday night dinner here. Service was excellent. Food very nice and you got a lot. Prices not bad. The restaurant was clean. Loud but a fun place. We’ll come back.